Everybody has a favourite part of the day. As mundane as the activity would be, there's always a certain amount of pleasure associated with it. For me, this would be my morning ritual of greeting the plants in my balcony and following that, enjoying a hot cup (or two) of green tea. I'll be honest, I wasn't a green tea enthusiast until recently. Growing up, tea used to mean a sugary, milky, mostly unhealthy beverage adults couldn't function without and an excuse to binge on even unhealthier snacks. Green tea was too foreign a concept in a household like mine. However, there came a phase during college when every lifestyle website I read was obsessed with the health benefits of green tea- the wonders it can do to your skin, how it aids in weight loss, and the general emotional benefits it comes with. That was the time I began associating green tea with a conscious lifestyle. Being a regular consumer of green tea since a couple of years now, I was naturally excited to see what TeaMonk has to offer. TeaMonk Global curates the best of teas from all over India and makes them accessible to the world through a few major retail points and their own website. I recently attended a super fun workshop organised by the brand and learned a lot about growing, plucking, processing and packaging of their teas. The most noteworthy point for me was how the brand ensures shortest time interval between plucking and packaging (approximately 1 month) as opposed to the industry standard of 8-10 months. They make sure you get the freshest, most fragrant and the healthiest tea after passing multiple quality checks, in the shortest possible time! They've got quite a few varieties of whole leaf teas you can choose from- black, oolong, green and white tea along with multiple flavour options in tea bags like tulsi, cardamom, cinnamon, peppermint, and more. The tea bags are pyramid shaped to give space to the leaves to unfurl during the brewing process-quite genius, if you ask me. 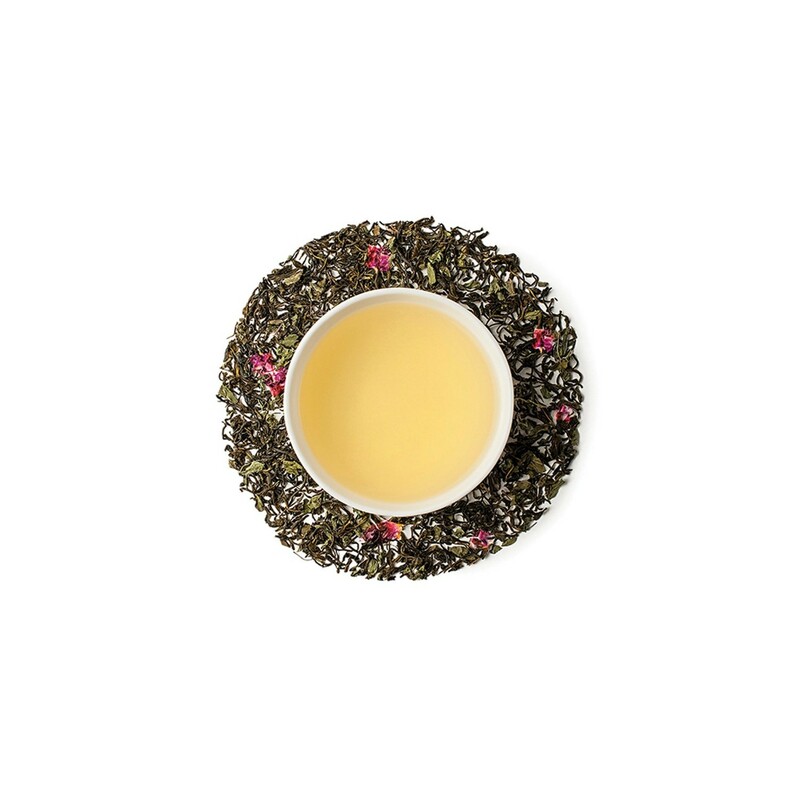 They've recently launched another lovely flavour on Valentine's Day- the Azaya Rose Green tea that has actual rose petals with the green tea leaves. Trust me, it will grow on you. All the teas are completely natural and non-blended. TeaMonk is a breath of fresh air in an industry that thrives on mass-production. The careful curation process is definitely their biggest USP. It's been a month since I've switched to TeaMonk and have felt a considerable improvement in the texture of my skin, digestion and even the quality of sleep. My favourites are Lapika Green Tea, Koge Jasmine Green tea and the new Azaya Rose Green tea (all their teas have beautiful Sanskrit names) and I plan to try the other flavours very, very soon. Shop for your favourites here. PS. 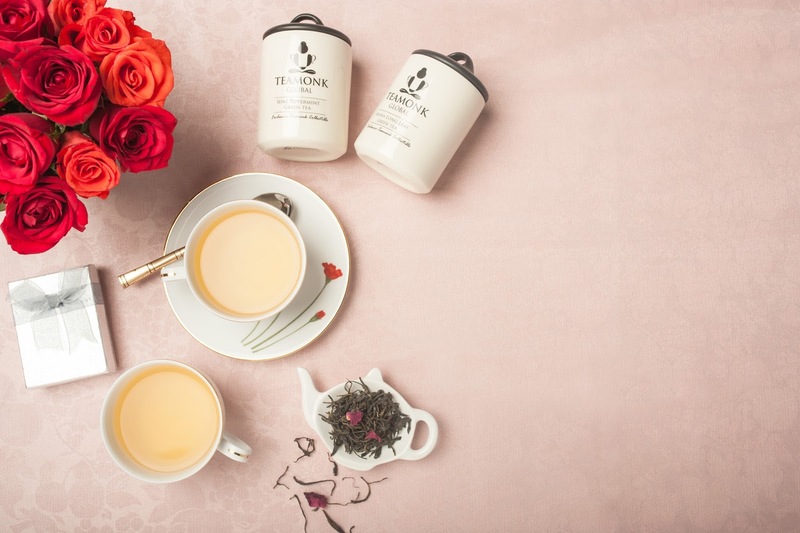 They've got some great gifting options with customisable tea boxes and gorgeous ceramic tea sets. Check them out here. Thanks for sharing. great post. would love to give it a try.